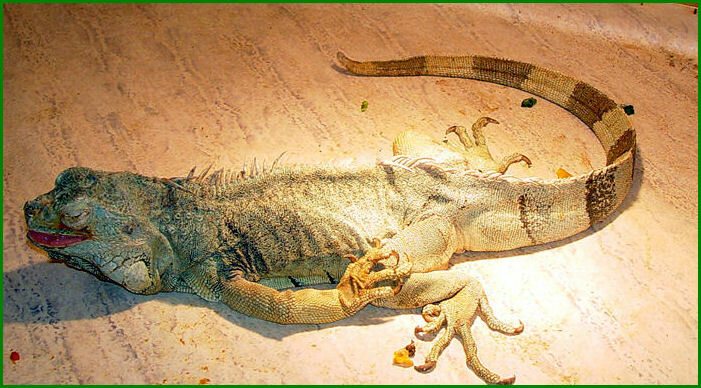 In the exposition of the reptile zoo there are two groups of Green Iguanas (Iguana iguana). In the group that lived on the ground floor there was a female Green Iguana that was continuously was molested by a male Green Iguana. Thanks to this she always had a number of wounds that would not heal because the male kept biting her. 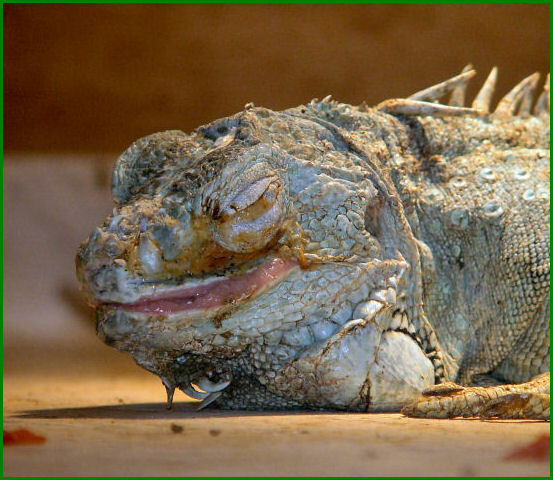 It goes without saying that the female iguana was always very stressed and afraid. The people who had to clean out the terrarium wanted to place her in a large terrarium on the quarantine so she could get rest and her wounds would heal. The two managers of the reptile zoo did not allow this! Lots of visitors were shocked when they saw the male Iguana bite the wounded female. Much too late she eventually was placed in a (too) small terrarium (100 x 50 x 50 cm) on the quarantine. Too small because she was not able to hide when the terrarium was cleaned. This gave her a lot of stress again. In this terrarium she perished miserably; this process of dying lasted for many months I heard of the people who had to care for her. I already had left the zoo at that moment. 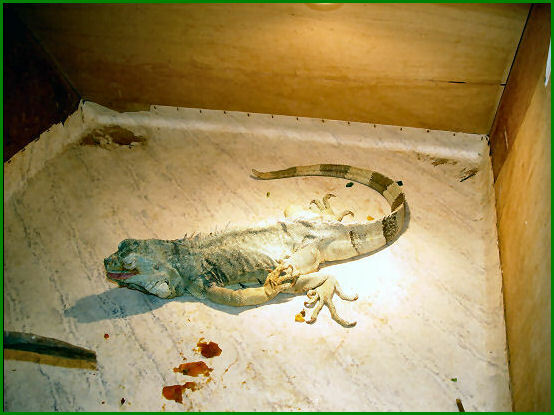 This Green Iguana should have been euthanized! Her wounds were chronically inflamed and did not heal. She became blind, would hardly eat or drink anything and there is no doubt in my mind that her internal organs also suffered a lot of the biting. 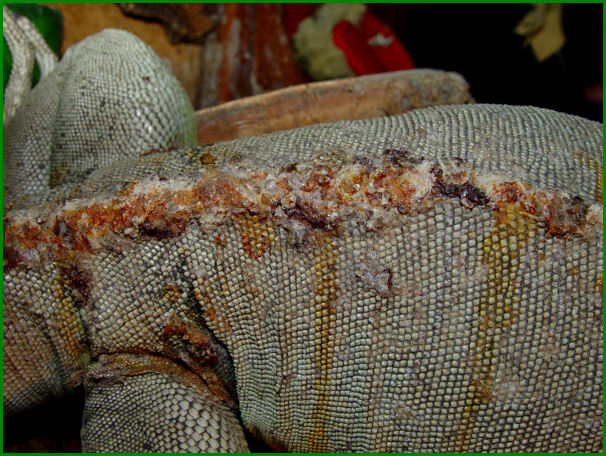 In the past there also were other Green Iguanas at the quarantine that were very ill or disabled. These were not euthanized, but had to suffer during a long period before they died. This is a severe form of animal cruelty and very unprofessional of the responsible managers. Let the pictures speak for themselves. (not caused by the people of the reptile zoo). 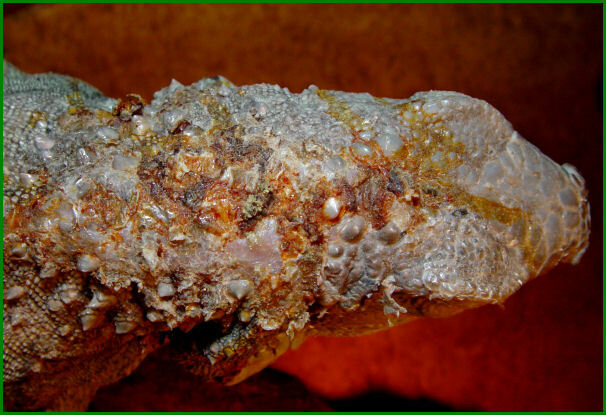 It was kept alive during a longer period. this breaks my heart. its unbelievable that anyone would do this to any animal... they are just so innocent and sweet this actually made me cry. i cant stand people sometimes.